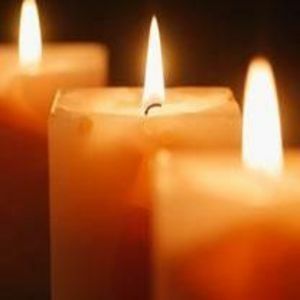 Peggy Worrell Parker, 83, of Wilson, passed away Thursday. Funeral services will be conducted 2:00 p.m. Monday, July 24, 2017, at Thomas-Yelverton Funeral Home, 2704 Nash St. N, Wilson, NC. Entombment will follow in Evergreen Memorial Park. The family will receive friends 1:00 – 1:45 p.m. Monday, prior to the service, at Thomas-Yelverton Funeral Home and other times will be at home. Peggy prided herself on her creativity in interior design and flower gardening. She also assisted her husband in his various business endeavors. She was a long-time member of Saratoga Original Free Will Baptist Church. Peggy was dearly loved and will be greatly missed by her family and friends. Surviving are her husband, Robert Linwood Parker; two sons, Graham Parker and wife, Jacqueline, of Sanford, and Joe Parker of Wilson; two grandchildren, Nicole Parker Moston and husband, Mike, of Holly Springs, and Michael Graham Parker and wife, Sara, of Sanford; and three great-grandsons, Parker Dixon, Nicholas Moston, and Grayson Parker. Flowers are welcome and memorials may be directed to St. Jude Children’s Research Hospital, 262 Danny Thomas PL, Memphis, TN 38105 or Saratoga OFWB Church, 6801 Church St., Saratoga, NC 27873.